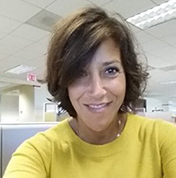 Laura Cohen is the Sr. Marketing/Communications Manager of the commercial division at LG Electronics USA, Inc.
She grew up in Deerfield, IL and enjoys: working out, snowboarding, cooking… not baking and music. Thanks to technological advances, consumers are demanding ever more from the brands from which they buy: more convenience, more flexibility, and more personalization. Consumers no longer accept being treated like mere data points; they want to be treated as the individuals that they are. This shift in consumer expectations has made it increasingly difficult for brands to keep up and stay relevant. Gone are the days where sending out a generic email or “liking” a customer comment on Facebook was all that was needed to keep customers happy and coming back to make purchases. The “one‐size‐fits‐all” approach to marketing just doesn’t cut it anymore. With so many distractions from technology and other brands, it’s important for companies to be relevant, and to show they are taking into account the customer’s current behavior and history of interaction with them before they communicate with the customer. No one wants to surf the web and be shown an ad for a product they just bought. The goal has shifted from talking at customers to conversing with them. Marketers need to create experiences that meet customer expectations and are meaningful and memorable enough to make them want to interact with their brand over and over. There’s more to marketing than pushing out your brand’s message. Advances in technology give consumers more access to products and information, but they also give marketers more access to consumers. Don’t get fooled into thinking that marketers are the ones in total control. Consumers are now more empowered than ever. They’re more informed. Today’s savvy consumer knows to read reviews before making purchase decisions. Along those lines, with just a few clicks, information created by subject‐matter experts (SMEs), allows consumers to thoroughly research a product like never before. They’re more connected. Connecting with trusted friends, loved ones, and brands used to mean picking up the phone or sending an email. Social networking has made interacting quick and convenient. They have the world at their fingertips. Literally. The worldwide internet has opened up a global marketplace for consumers who can now easily choose the brand that meets their needs and expectations. What’s more, they can just as easily choose another one tomorrow should something better come along. Brands and their marketers need to take customer interactions and experiences to a whole new level. With the ability to keep track of every customer interaction and then access that data in real time, brands can provide the highly personalized experiences that take into account the customer’s history of brand interaction and real‐time activity. This leads to a more relevant customer experience and increased customer loyalty. Who doesn’t want more of that?